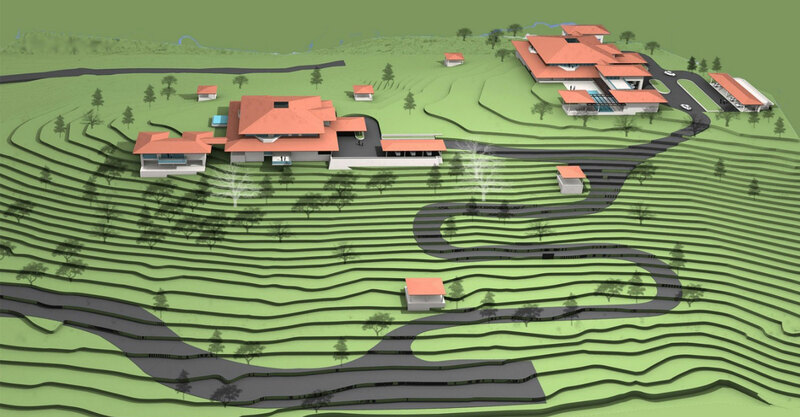 Built up Area : 4400 Sq mt. Carpet Area	: 3000 Sq mt. 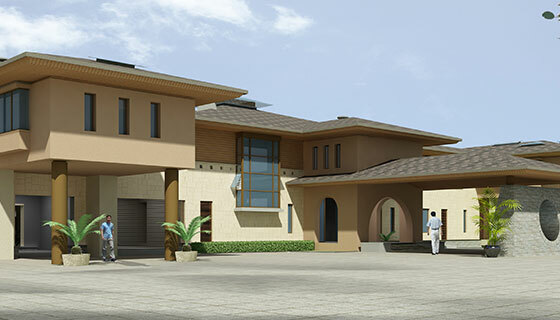 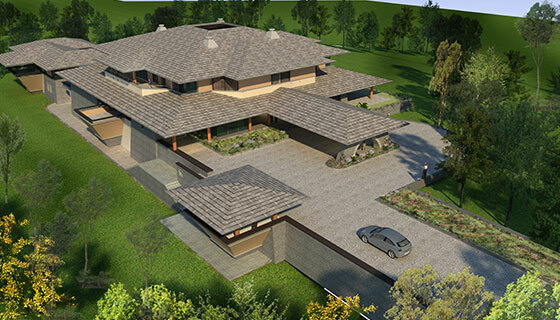 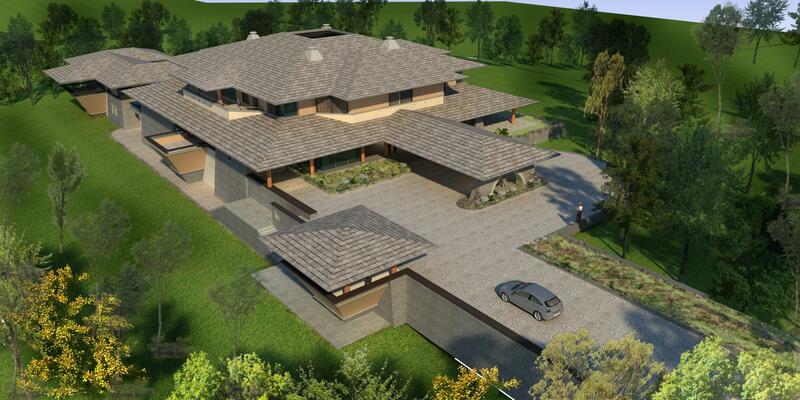 The project is composed of 2 luxury villas for the families of two brothers, on adjoining plots at Forest Trails. 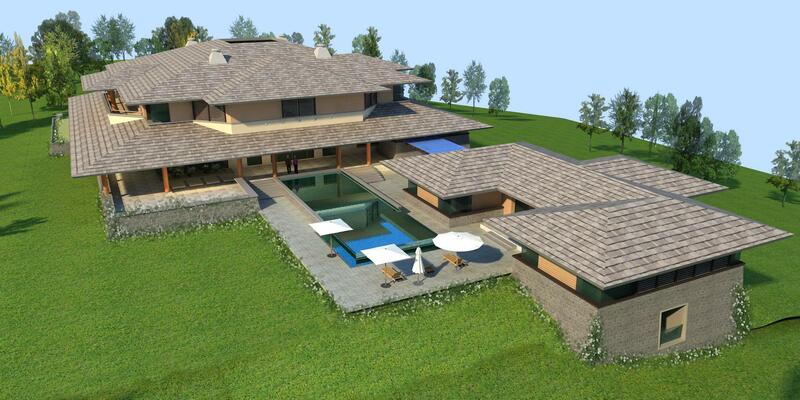 The villas sit on a contoured piece of land, rendered in natural stone and hugging the rugged landscape. 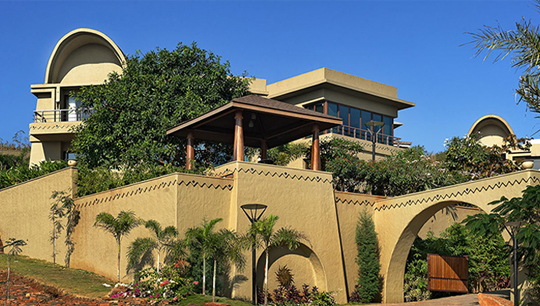 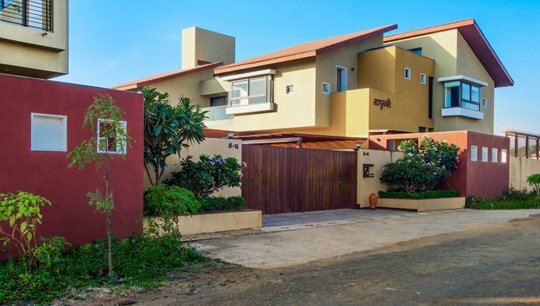 Both villas are accessed by their own approach road, accommodating independent services and recreational functions. 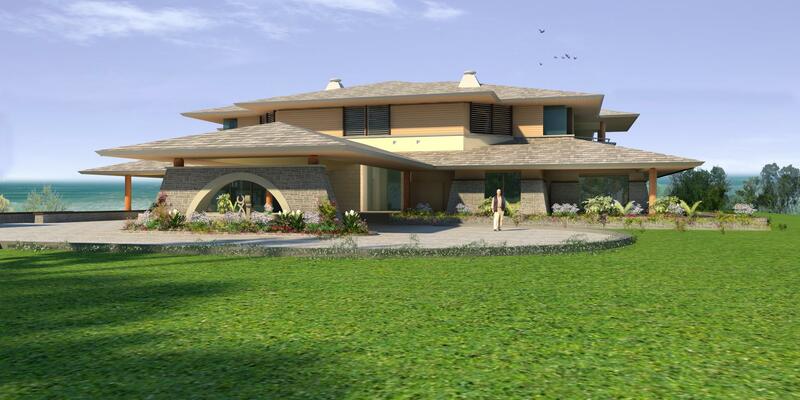 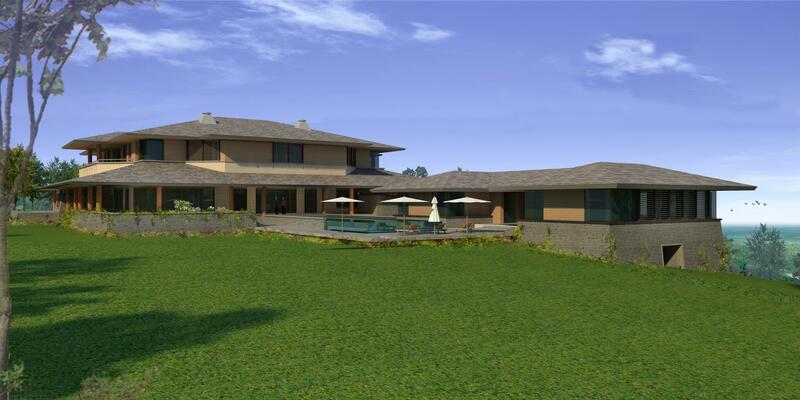 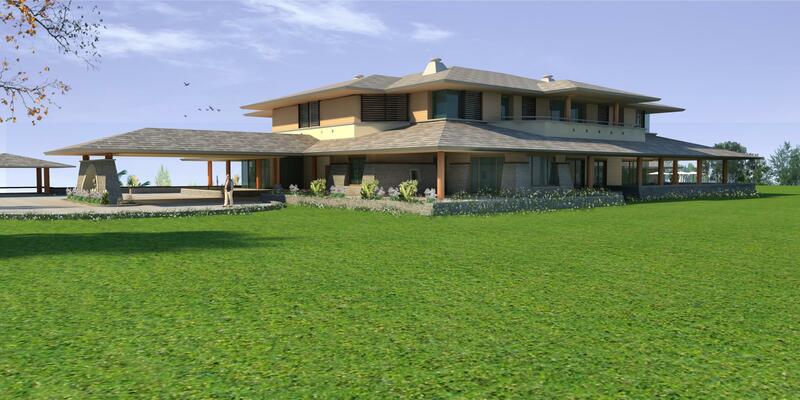 Villa-1 is a 5-bedroom mansion designed to accommodate a joint family. 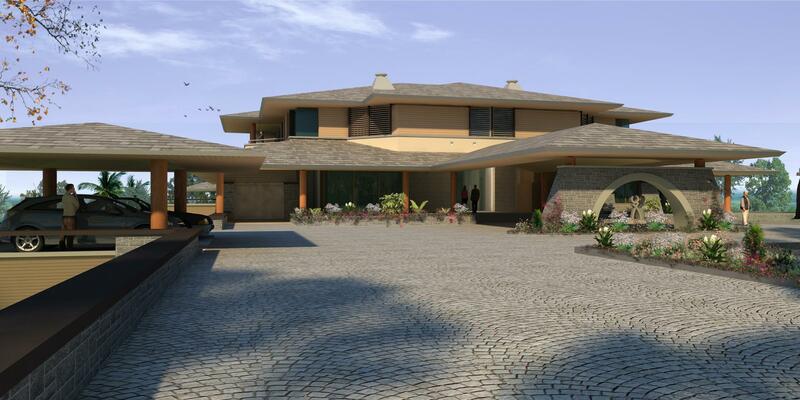 Slanted stone clad walls punctuated by arched openings lead one into the double height entrance foyer, which opens out into a large skylit central court. 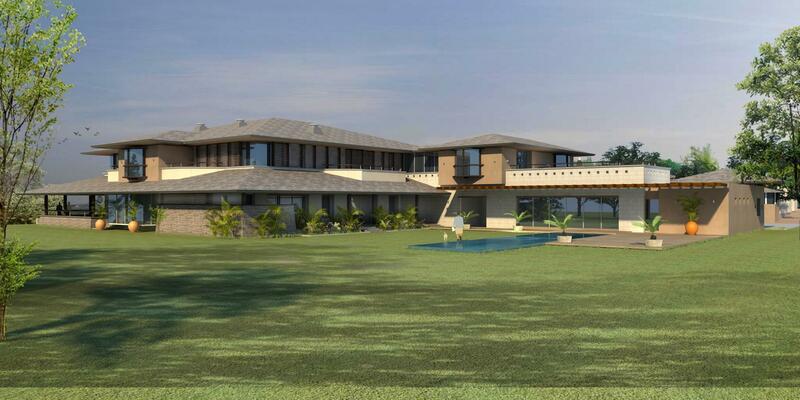 A glazed formal living and dining room positioned on two sides of the court capture views both to the interior court and exterior greens. 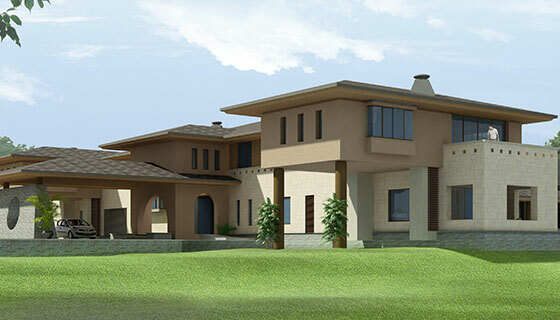 Beyond the central court, lie the common family spaces, including the bar, family living and dining, kitchen and utility spaces. 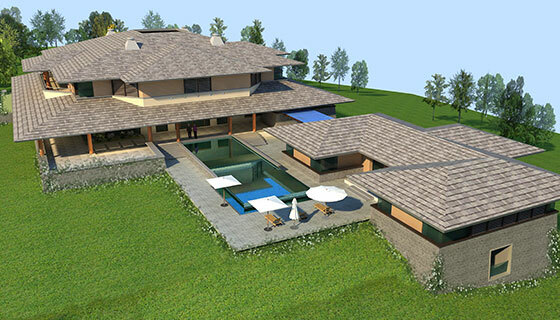 On the first floor, the central court takes an octagonal shape, surrounded by a family room and bedrooms, each connected with their own private terraces. 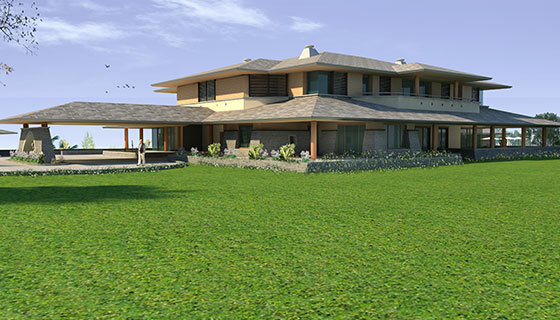 Living spaces capture stunning views of the green environs of the villa, connecting the residents with their natural landscape. 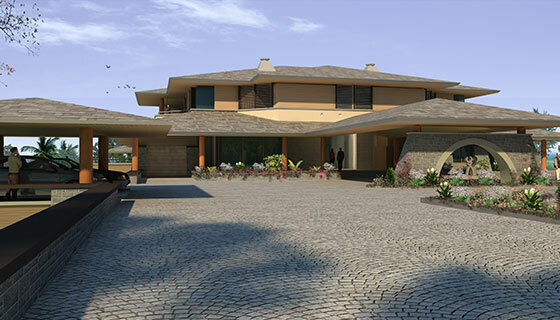 Villa-2 centers all living spaces around a circular double height landscaped court creating a daylit, well ventilated entrance foyer. 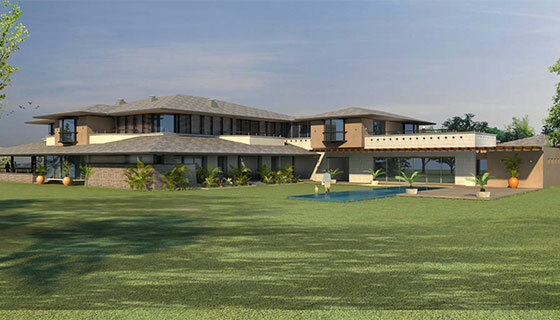 The open court is flanked by a family living and dining room, overlooking their private verandah courts, and views of the vast green landscape beyond. 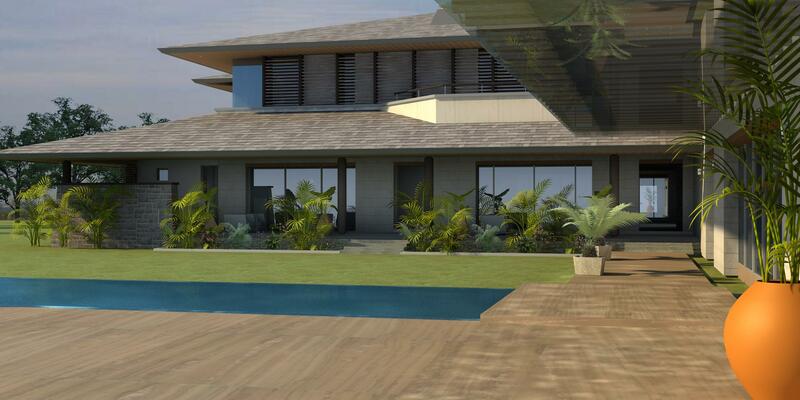 The family spaces extend into the recreational zone, accommodating a large swimming pool, verandah and party deck. 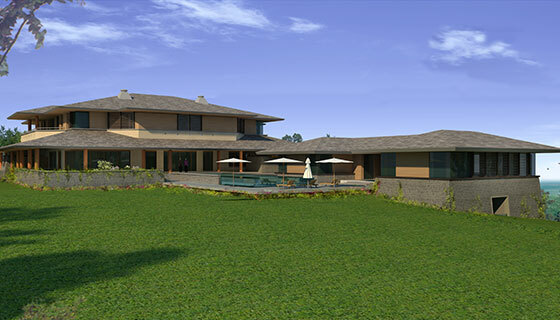 A home theatre and bedrooms, each with their own private sit-outs, are arranged along the central court on the upper floor. 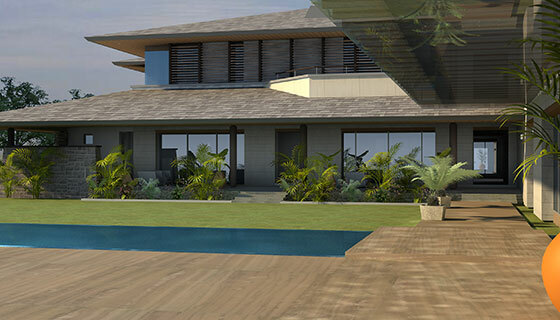 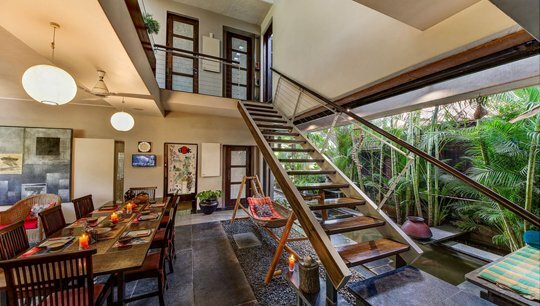 The verandahs dotting all sides of the open court allow green views into all living spaces, while connecting them with their natural landscape.